I contributed a short text in response to Michael Ackerman's work in Mono Volume One, a collection of contemporary black-and-white photography published by Gomma Books. 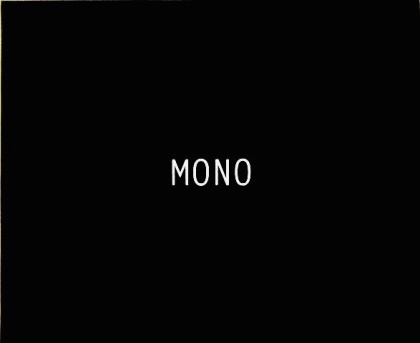 MONO Volume One is the first hardback of a trilogy, showcasing an inspiring collection of contemporary black & white photography. Its 270 pages feature a broad scope of internationally renowned artists such as Antoine D'Agata, Trent Parke, Anders Petersen and Roger Ballen, alongside a vibrant selection of promising new talent. The book combines elegant image sequencing with short essays from some of the most influential personalities of the photography world, including Diane Smyth, editor of the British Journal of Photography, Christian Caujolle, founder of Agence VU and Yasmina Reggad, director of Photo-Festivals. It provides a joyous celebration of raw, monochrome imagery and pays a respectful homage to black & white photography as a poignant and timeless art form.